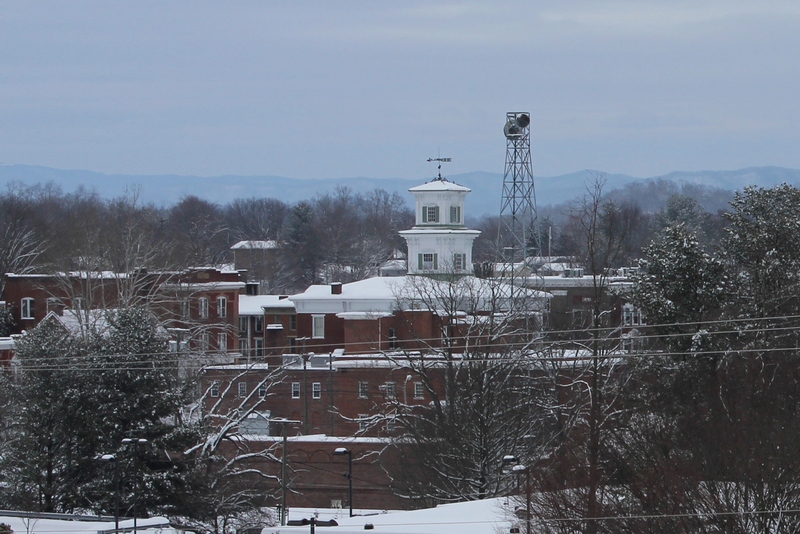 Southwest Virginia got hit with a series of snowstorms in late February 2015. 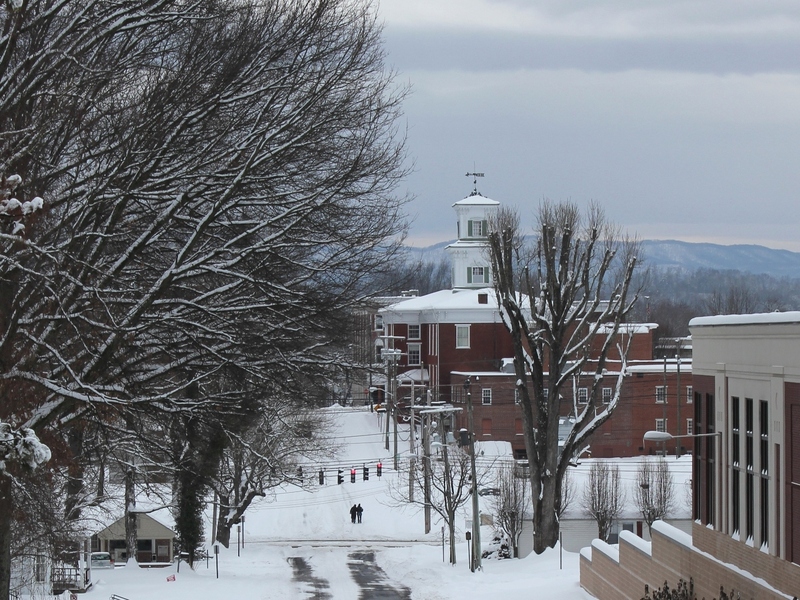 These photos show the Washington County Courthouse over the weekend, with the streets of Abingdon abandoned except for a few pedestrians. This photo shows the courthouse looking east. Holston Mountain is in the background.